Media accounts are leaning toward blaming a supposed lack of interest in cryptocurrency as the reason US chip behemoth Nvidia has backed out of the mining industry. It was only a little over a year ago the company hoped to make an impact in the space. Whether it’s the industry losing steam or the simple fact Nvidia was beaten, the GPU and semiconductor player has officially packed its bags. “We believe we’ve reached a normal period as we’re looking forward to essentially no cryptocurrency as we move forward,” Colette Kress, Nvidia CFO confirmed. “Our revenue outlook had anticipated cryptocurrency-specific products declining to approximately $100 million, while actual crypto-specific product revenue was $18 million, and we now expect a negligible contribution going forward,” Ms. Kress detailed. Nvidia (NASDAQ: NVDA) is a chip-making giant, a global force in the tech industry. It ranks as a staple of top 100 components on boards like Nasdaq and S&P, metrics to determine the relative financial health of a given sector. 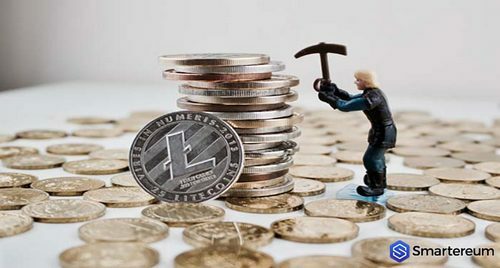 The quarter-century old US company announced just a little over a year ago it would be entering cryptocurrency mining, and everyone took notice. It appeared Nvidia would soon become an industry leader just through heft. It has not turned out that way. “Although crypto revenue may not be large,” the Nvidia CFO stressed, ”it still has a derivative impact on our stack in terms of what we are selling and to both replenish the overall channel and such. So, over the last several quarters, that we had stabilizing that overall channel, we did get the great effect of selling just about everything and our margins really been able to benefit from that.” And it’s a financial truism at this point: crypto can be brutal. It’s rumored the company was lured into the mining sector through demand for its GPU cards, until then thought mostly reserved for gamers. Miners needed more and more GPU cards, more capacity, and, the theory goes, Nvidia took notice. However, that was the unicorn price year of 2017, when crypto surged and seemed only destined to ascend. CEO Jensen Huang, rather bullish at the start of the experiment, openly admitted crypto mining didn’t add much to the company’s bottom line, and “at this time, we consider it to be immaterial for the second half,” and thus the packing of bags. Is Nvidia’s leaving mining the result of their getting beaten or the market souring? Share your thoughts in the comments section below.